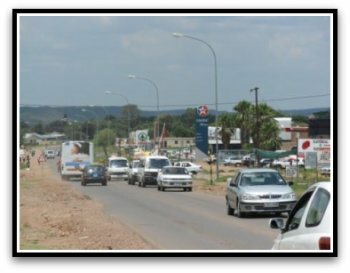 Molepolole is the administrative capital of the Kweneng District, and home for Bakwena tribe. Though classified as a village it has a population of about 70,000 people with a rapid growth in economic activities. 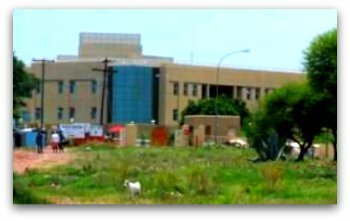 The village is 50km west of the capital Gaborone and has lately seen an influx of commercial entities such as banks, chain stores shopping malls. Kweneng District is the homeland of Bakwena people, whose name is borrowed from their totem crocodile (kwena). The district is a tourism hub that includes attractions such as rock paintings in Manyana village, Kgosi Sechele I Museum - named after the Bakwena chief Kgosi Sechela I (1833-1892) and many other monumental attractions. The Kgosi Sechele I Musuem hosts numerous annual cultural events that include, kweneng craft exhibition, art competition and traditional fun day.